Leslie H. Martinson, a versatile director who mostly worked in television, has died at 101, according to an obituary published by The New York Times. Martinson’s IMDB.COM ENTRY lists 108 directing credits, from 1953 through 1989. Besides TV, he also directed some movies, including the 1966 Batman feature based on the Adam West television show and 1963’s PT 109, with Cliff Robertson playing John F. Kennedy as a U.S. Naval officer in World War II. Naturally, with a resume that long, Martinson dabbled in spy entertainment. 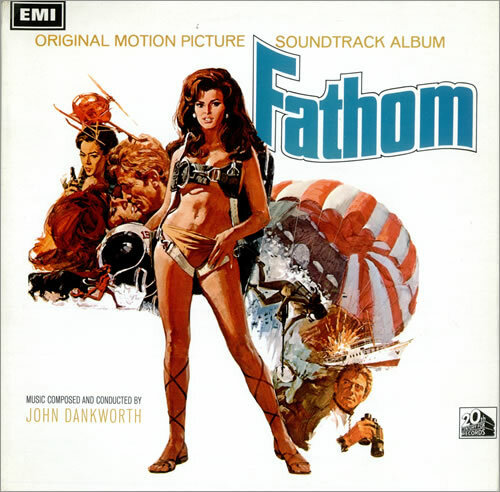 Another one of his movie credits was 1967’s Fathom, Raquel Welch’s entry into the 1960s spy craze. It also featured a script by Lorenzo Semple Jr. and main titles designed by Maurice Binder, and prominently feature the movie’s star. What’s more, Martinson directed nine episodes of the original Mission: Impossible series. Those episodes ran during the show’s later seasons. The director worked at various studios. He was in demand at Warner Bros. in the late 1950s and early ’60s, directing episodes of the studio’s detective (77 Sunset Strip, Hawaiian Eye, Bourbon Street Beat, Surfside 6) and western (Maverick, Lawman, Cheyenne) series. In the latter category, Martinson directed a particularly amusing Maverick installment, Gun-Shy, which was a parody of the hugely popular CBS western Gunsmoke. In Gun-Shy, Bret Maverick (James Garner) keeps running afoul of Marshal Mort Dooley. Maverick is repeatedly thrown out of town by Dooley. But Bret, trying to find buried riches, keeps coming back. Writer Marion Hargrove even threw in a joke referencing another CBS western, Have Gun-Will Travel. Eventually, Bret has to face off against Dooley in a gunfight. But Maverick outsmarts the marshal by staying just outside the range of the lawman’s pistol. Martinson staged the sequence as a send-up of the opening of Gunsmoke where Marshal Matt Dillon faced off against a gunfighter. The Oklahoma-born Garner was best known for the 1950s Western television series Maverick and the 1970s detective show The Rockford Files. Garner’s Bret Maverick and Jim Rockford preferred to outwit rather than outfight adversaries. But neither character was to be taken lightly and could handle themselves in a variety of situations. In both series, Garner & Co. weren’t afraid to poke fun at their genres. In the end, Lance White corners the villain, says, “Put up your dukes!” and knocks him out with one punch. 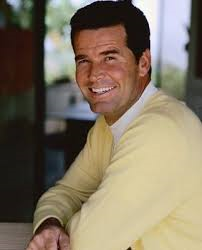 Garner was popular enough in both roles he participated in revivals: a one-season series called Bret Maverick in the early 1980s and a series of Rockford Files television movies in the 1990s. The actor had plenty of other work, with other highlights including The Great Escape, The Americanization of Emily, Grand Prix (where he did much of his own racecar driving), Marlowe and Support Your Local Gunfighter. Here’s an excerpt of a long interview Garner did about his career. It concerns the early days of The Rockford Files. September 1975 featured an interesting faceoff between the three U.S. commercial television networks. Both ABC and CBS wanted to try to knock off NBC’s Friday line-up, which was anchored by the private-eye show The Rockford Files. Over on CBS, the evening was comprised of a one-hour episode of M*A*S*H, which featured the introduction of Mike Farrell’s B.J. Hunnicut character, and a two-hour Hawaii Five-O story featuring another faceoff between Steve McGarrett and his arch-nemesis, international spy/bad guy Wo Fat. It was quite an evening for lovers of adventure TV. CBS and ABC were unsuccessful, however. 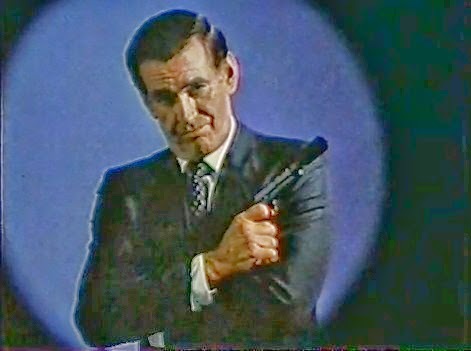 Rockford remained on the air (both it and Five-O had new episodes until 1980). We’re reminded of this because, the 8th season of Five-O, which includes the Wo Fat episode called “Murder — Eyes Only,” came out this week and is available for sale. The set also features another spy-oriented story called Termionation With Extreme Prejudice,” which features the excellent character actor Dan O’Herlihy, directed by his brother, Michael O’Herlihy, one of the most frequent Five-O directors.